With the desire to impress and showcase their skills, a lot of men always choose to dive down with their mouths into Pu$$yfic Ocean without doing some vetting. Or rather without the girl proving herself first. This is a misguided way to go about things. 1. She SHOULD qualify for it. 2. Her V must be inspected for any signs of foul smell or defect. How does a woman qualify? First, she should be willing to eat d*(k and do it well. There is a crop of women who claim to not like eating d*(k but still expect men to l1ck them out while they “uuuh” and “aaah” with pleasure. But all these did not go down well with a lady who has come out boldly to air her view. 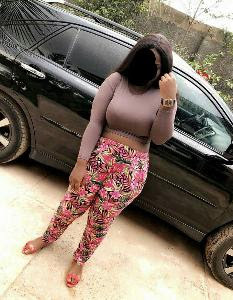 She captioned her private photos: "I am not even talking of blowing you, I am saying before you penetrate you must svck & l1(ck my kitten down to my a$s hole. "